Kelsea Nicole Ballerini is an American country pop singer and songwriter. She is signed to Black River Entertainment, and released her first album The First Time in 2015. She received a nomination for Best New Artist at the 2017 Grammy Awards. Amazing jewelry. Don't you agree? 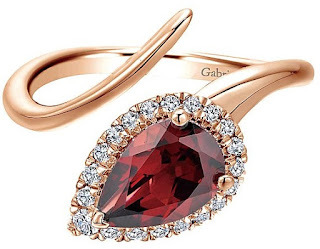 Learn more about Gabriel NY jewelry.